Each year, seasonal businesses around the country host international students participating in our Work & Travel USA program. Our host employers understand the importance of these students to their businesses, their communities, and our country. The Work & Travel program both strengthens the U.S. economy and supports U.S. national security and diplomacy. 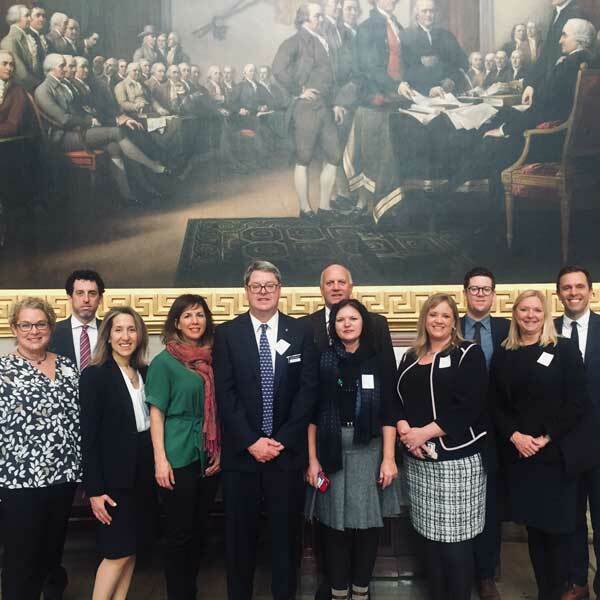 To deliver this message, a group of our host employers went up to Capitol Hill during InterExchange’s inaugural Host Advocacy Forum. On January 16 and 17, host employers from six states participated in 18 meetings with Members of Congress and their staff. They delivered a strong message that the Work & Travel program is good for Americans and great for America. The Host Advocacy Forum group in the Capitol Rotunda during our private tour. The international students participating in the Work & Travel program contributed $509 million to the U.S. economy in 2017. 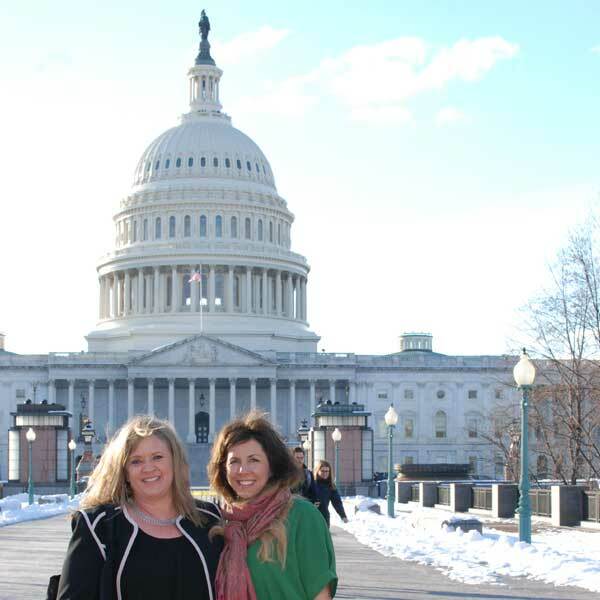 Host employers Leslie Garringer (Waldorf Astoria in Utah) and Sheri Gemelli (Telluride Ski Resort in Colorado) on their way to their Hill meetings. 76% of Work & Travel international students reported a positive change in their views of the U.S. and Americans because of their programs. 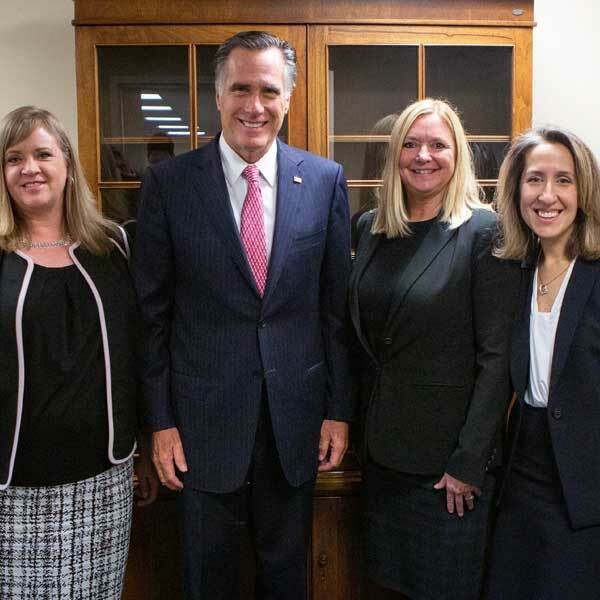 Our Park City host employers -- Jackie Adragna (St. Regis Deer Valley), Michelle O’Brien (Stein Eriksen Lodge), and Leslie Garringer (Waldorf Astoria) -- with Sen. Mitt Romney of Utah. Utah hosts more than 2,600 international students every year. “They are crucial to the success of Park City ski slopes and hotels,” said Jackie. 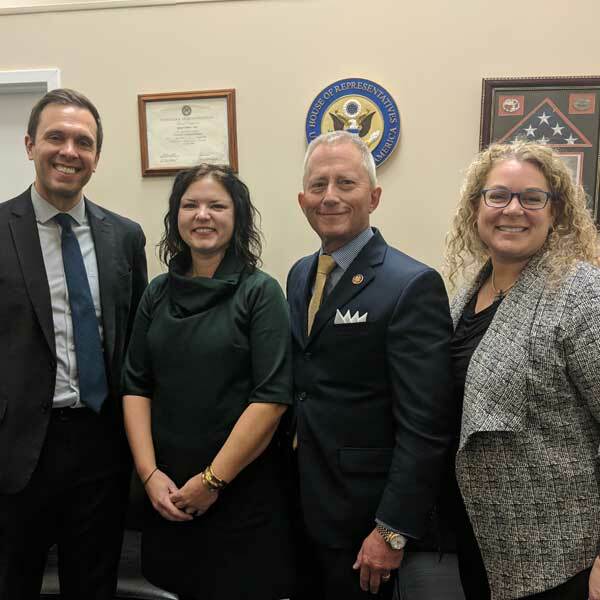 Our Cape May County, NJ host employer, Tania Hamaneyeva (c) and Denise Beckson (r) of Morey’s Piers, and InterExchange staffer Mark Overmann (l) with newly-elected Rep. Jeff Van Drew of New Jersey. 9 out of 10 host employers across the country said Work & Travel enhances their businesses. "The students supplement our local workforce and bring an international diversity that offers a unique experience to our guests and American team members alike," said Tania. 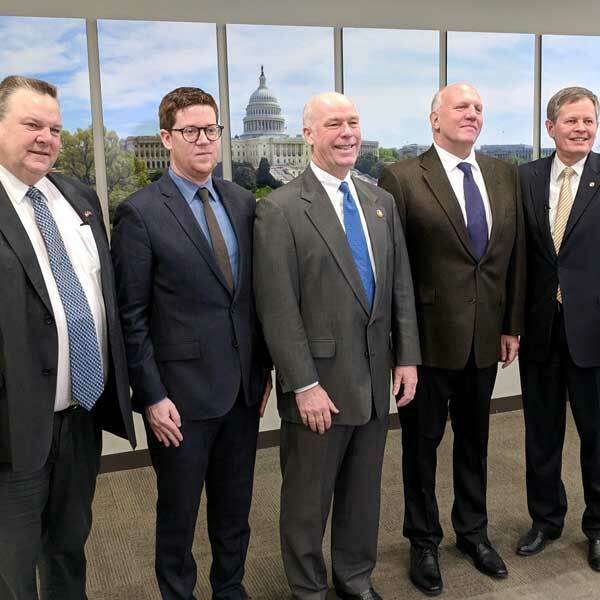 Host employer Tom Rapp (Roosevelt Hotel in Gardiner, MT) and InterExchange staffer Kevin McGowan meeting with the Montana Congressional delegation: Sen. Jon Tester (l), Rep. Greg Gianforte (center), and Sen. Steve Daines (r). 50% of Work & Travel host employers said that the absence of the international students would have a large negative impact on their revenues. 25% wouldn’t be able to stay open. 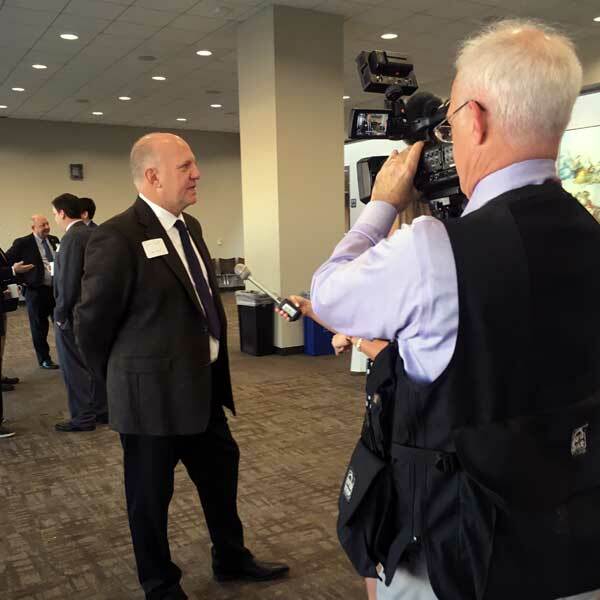 Tom Rapp being interviewed by a local Montana TV station, explaining why the Work & Travel program is so important to his community and the state. Gardiner, MT, a town of 875 residents, welcomes more than 500,000 people per year through its entrance to Yellowstone National Park. 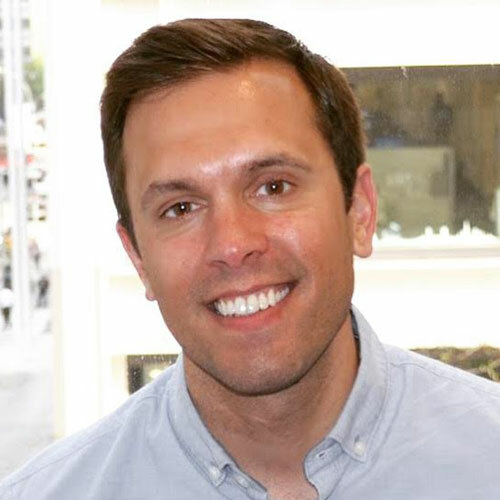 “Without our Work & Travel students, we couldn’t possibly serve all of our guests,” said Tom. 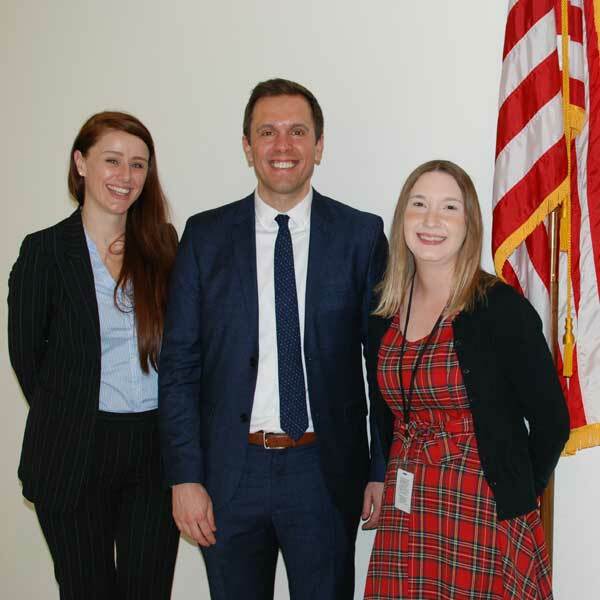 InterExchange staff Meave Treacy and Mark Overmann meet with the chief of staff to newly-elected Rep. Elaine Luria (VA). In summer 2017, Virginia hosted 5,211 Work & Travel students, who contributed $28.7 million to the VA economy. 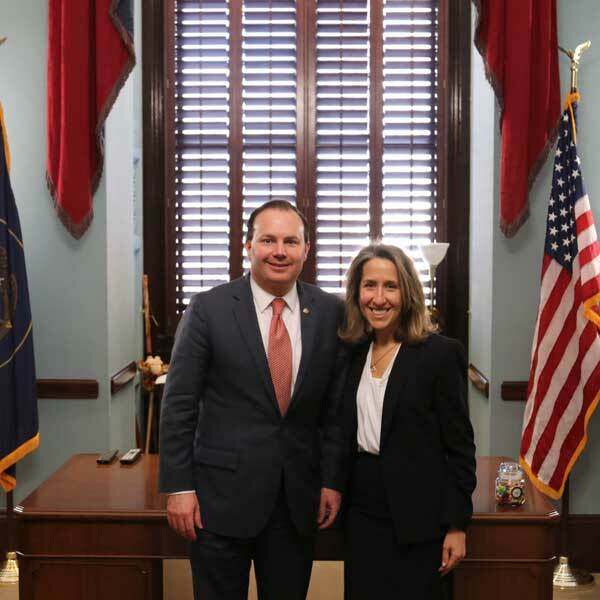 Jackie Adragna (St. Regis in Park City) with Sen. Mike Lee of Utah. Work & Travel and other Exchange Visitor Programs are funded by the private sector and cost the U.S. taxpayer $0. 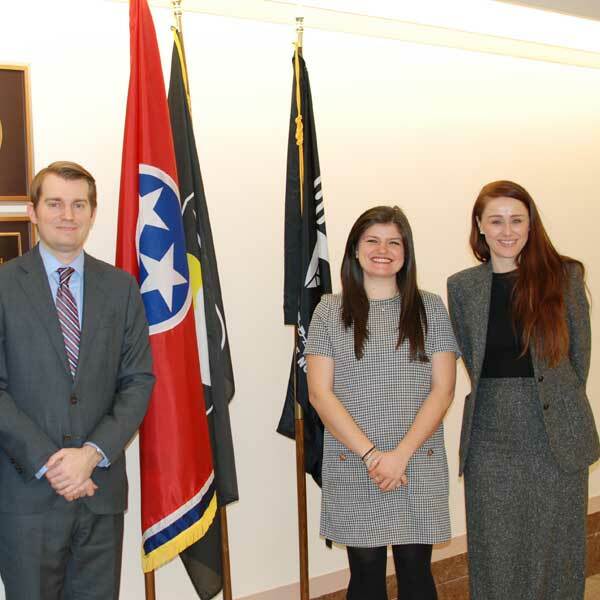 Meave Treacy from InterExchange meets with staffers for Sen. Lamar Alexander (TN). More than 50,000 American businesses, camps, families, and universities host Exchange Visitor Program participants each year. 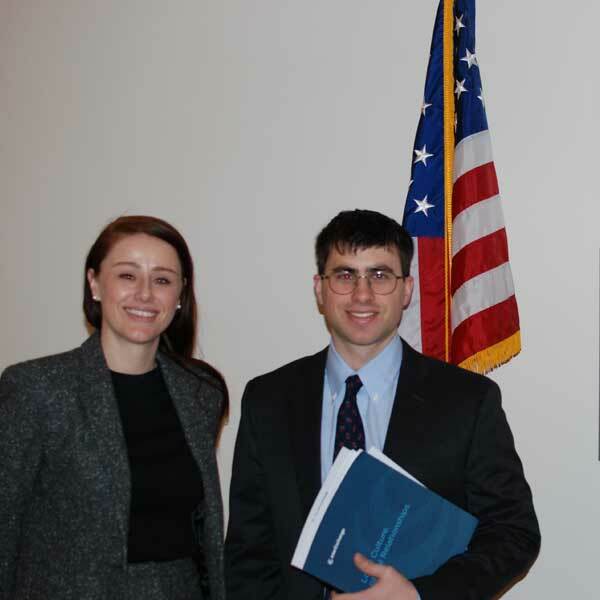 Meave Treacy from InterExchange meets with a staff member for Sen. Tim Kaine (VA). Since 2000, more than 6.5 million participants from 110+ countries have experienced American culture and values by participating in the Exchange Visitor Program. Hiring international students for your busy season has never been easier. Search for and hire candidates on your own with our advanced online matching system, with as much guidance as you like.